Pierre-Emerick Aubameyang gave Arsenal the lead inside ten minutes after Ben Foster's attempted goal kick came off his leg at close range and ended up in the back of the net. 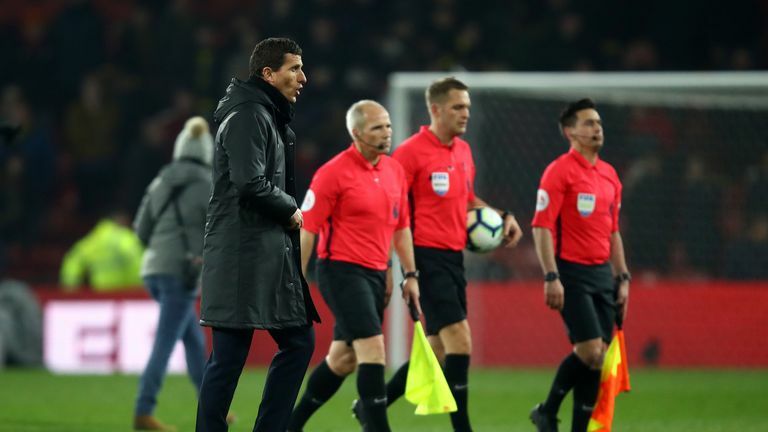 Not long after, Deeney was given his marching orders by referee Craig Pawson after catching Lucas Torreira in the face with an elbow, and despite seeing plenty of chances in an entertaining encounter, Watford were unable to battle back for a point. The result has seen Arsenal keep a clean sheet away from home for the first time this season and puts them back above Chelsea into fourth on goal difference, while the Gunners also have a game in hand over the Blues. Watford: Foster (6), Janmaat (6), Cathcart (7), Kabasele (6), Masina (6), Doucoure (6), Capoue (7), Femenia (6), Hughes (7), Gray (6), Deeney (3). Subs used: Success (3), Sema (n/a). Arsenal: Leno (6), Koscielny (6), Mavropanos (6), Mustafi (6), Monreal (6), Ramsey (7), Torreira (7), Xhaka (6), Iwobi (7), Mkhitaryan (5), Aubameyang (7). Subs used: Ozil (6), Guendouzi (6), Maitland-Niles (6). Man of the match: Pierre-Emerick Aubameyang. Watford began well at Vicarage Road but things soon went downhill as Arsenal took the lead inside ten minutes. 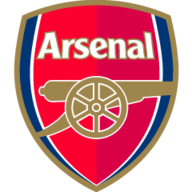 It was a rare mistake from goalkeeper Foster as he dwelled for too long on the ball with Aubameyang baring down on him and as he went to kick it away, the Arsenal striker got a leg in the way to send the ball ricocheting into the back of the net. A minute later and Watford lost their captain Deeney as he was shown a straight red card for an elbow into the face of Torreira. It took a while for the striker to make his way off the field as he remonstrated with the officials, but the decision was not to be overturned and Deeney will now miss the next three games against Huddersfield, Southampton and Wolves, subject to an appeal. Unai Emery made six changes from the side that beat Napoli in the Europa League last week. Bernd Leno, Henrikh Mkhitaryan, Alex Iwobi, Shkodran Mustafi, Konstantinos Mavropanos and Granit Xhaka all came into the XI for the game. 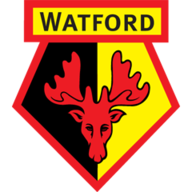 Watford also made four changes from their FA Cup semi-final triumph with Ben Foster, Daryl Janmaat, Christian Kabasele and Adam Masina coming into the side. It is sometimes said that teams play better with ten men and this certainly applied to Watford for the remainder of the half. Craig Cathcart went close in the 20th minute with a close range effort, but was denied by the leg of Bernd Leno. Alex Iwobi did test Foster not long after, but the goalkeeper acrobatically parried the Arsenal forward's effort behind before Leno did the same at the other end to keep out a curling Etienne Capoue free kick. Foster atoned for his first-half mistake early in the second period as he denied Arsenal a second. It was a strong counter-attack from the visitors, with Iwobi picking out Mkhitaryan at the back post, but his side-footed volley was saved by the outstretched leg of the goalkeeper. The Arsenal midfielder spurned another glorious chance a few minutes later but powered the ball well wide of the upright. Watford continued to press in an open game and Adam Masina almost equalised in stunning fashion just after the hour mark. He let fly with a fierce drive from 30 yards out, which pinged off the crossbar before going wide. With ten minutes to play, Andre Gray then rounded goalkeeper Leno but a sliding challenge from Ainsley Maitland-Niles saw his effort away at the near post. Despite plenty of late pressure from Watford, they were unable to take a deserved point from the Monday Night Football encounter as Arsenal held out for a vital away victory. Javi Gracia: "I respect the referee's decision, but I don't agree [about Deeney's red card]. In my opinion it is a yellow card but never a red. I can't explain what the referee saw to make that decision. Unai Emery: "Our position in the table is very important. It is in our hands, to take the top four. We were working to push the goalkeeper when he wanted to play like he was playing. It's a very good action from Auba." Since his debut in February 2018, Pierre-Emerick Aubameyang has been directly involved in 37 Premier League goals for Arsenal (28 goals, 9 assists), 11 more than any other player for the Gunners in that time. Watford's Troy Deeney was sent off for the second time in the Premier League and for the first time since December 2017 against Huddersfield. 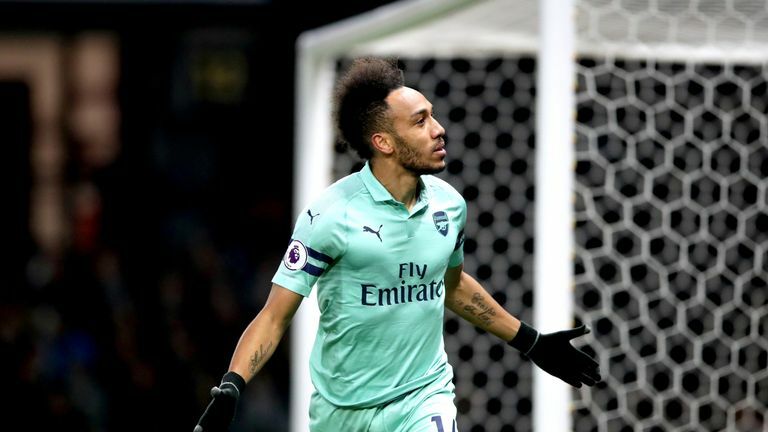 It was Aubameyang's instinct and timing that won the game for Arsenal early on and he was a continuous threat up front - although some of his later finishing can certainly be improved. Speaking to Sky Sports about his goal, he said: "I was confident, it's a long time that I want to score a goal like this, and tonight it went through, so I was confident, because normally keepers don't know if you're coming back to them, and tonight it was a good goal, for me, I like it." He is now joint-second in the Premier League top-scorers chart with 18 goals and is on course for a 20-goal haul in his first full season at Arsenal. Watford will travel to already-relegated Huddersfield in the Premier League on Saturday, while it is a big week for Arsenal. They travel to Napoli in their Europa League quarter-final second leg on Thursday before hosting Crystal Palace in the Premier League on Sunday.